combat polarisation and stereotypes to improve understanding and cooperation among people from different cultures. 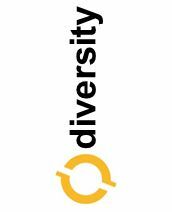 wiiw Economist Julia Grübler is supporting and joining this campaign with a dedicated wiiw diversity profile, a short video-snapshot of the various diversities characterising our work place. Being an economic research institute, the video obviously presents a brief statistical analysis of our various nationalities, languages, educational backgrounds, hobbies, family and age structures – as well as our music, food and leisure preferences.